Home » Rev. William Rosa, Jr.
Rev. William Rosa, Jr., Calvary Pentecostal Church, a Puerto Rican from New York, has lived and ministered over the past 35 to 40 years in Pentecostal, Presbyterian and United Methodist Churches and institutions in New York, Chicago, IL., New Jersey, Connecticut, California, Mexico, Spain, Panama and India. · El Centro de Estudios Teológicos in Chicago, IL, The Director Interdenominational effort to bring theological education to el Barrio, Chicago IL. which is the largest gathering of Hispanic/Latino in the Northeast, Albany & New York. 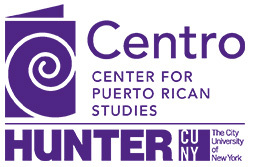 · A community advocate and activist organizing Puerto Rican and Latino communities against social and political injustice. · New Jersey State Department of Correction, Hispanic Chaplain.